The Camps Breakerz at Alwaha in Northern Gaza, Gaza Strip, occupied Palestinian Territory. 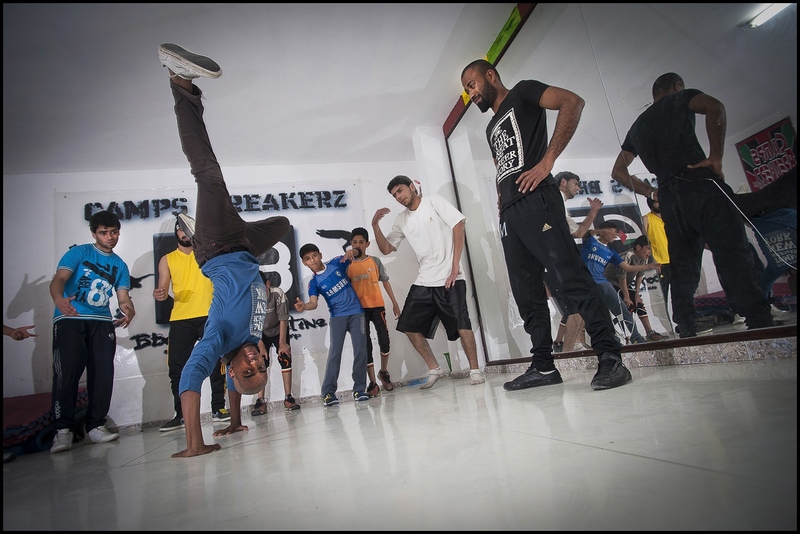 Some of the Crew make their way through Nuseirat Camp to 'The Camp Breakerz' dance center. 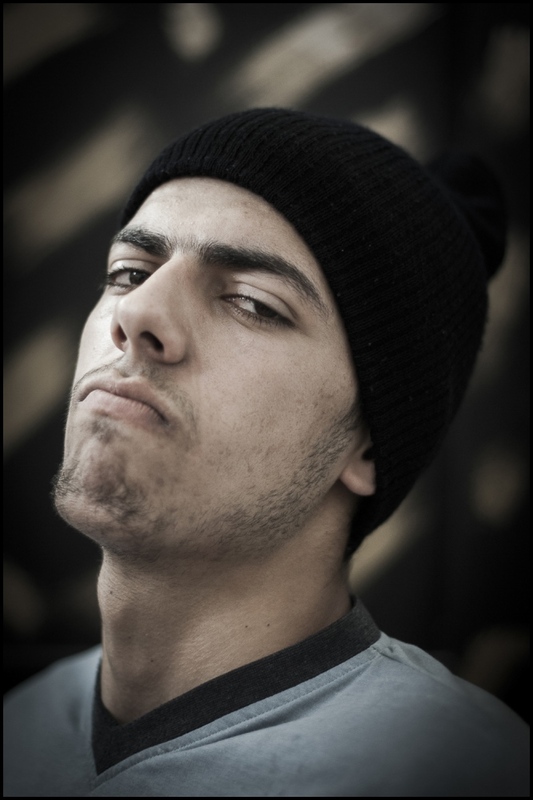 21 year old Jarule al-Ghraiz at the Camp breakerz dance center in Nuseirat Camp, Gaza Strip, occupied Palestinian territory. Training at Camp Breakerz dance center in Nuseirat Camp, Gaza Strip. Flash & Shaark waiting for a lift on Zahrah Road, Gaza Strip. The shortage of fuel in the Strip has become acute since the destruction of most of the 'tunnels' bringing in supplies from Egypt. 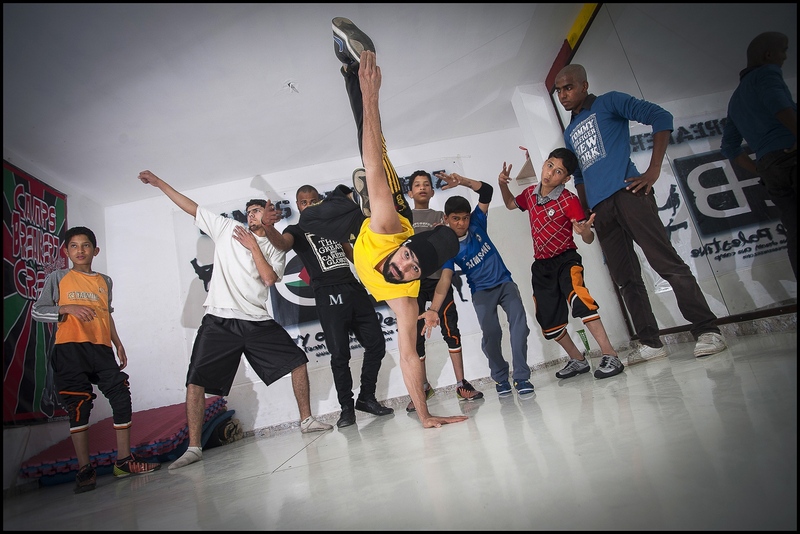 Shaark at Training with Camp Breakerz in their dance center in Nuseirat Camp, Gaza Strip. 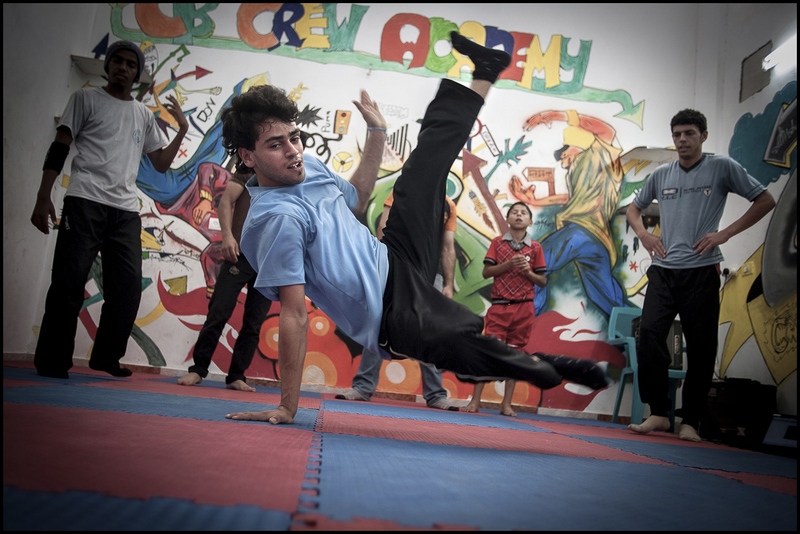 Hanson (21 year old Amjad Elewady) at Camp Breakerz dance center in Nuseirat Camp, Gaza Strip, occupied Palestinian territory. Flash on Zahrah Road, Gaza Strip, occupied Palestinian territory. 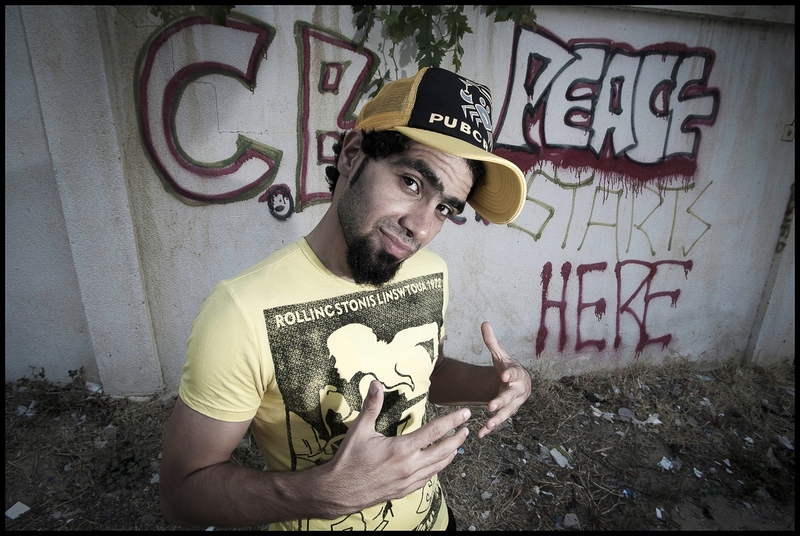 Break dancer and DJ Flash about to light up alongside the graffiti on Zahrah Road in the Gaza Strip, occupied Palestinian territory. 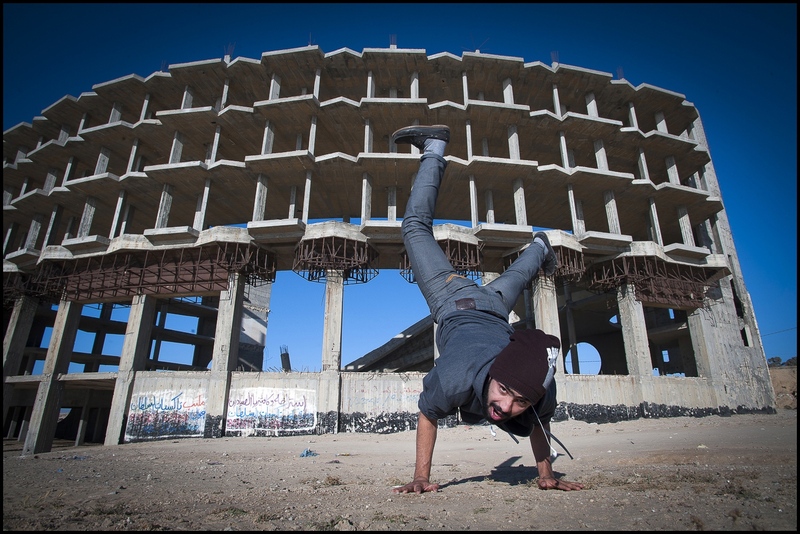 Shaark (25 year old Ahmed Al-Ghraiz) and leader of Camp Breakerz at their dance center in Nuseirat Camp,Gaza Strip,Palestine. Hanson goes airborne at Alwaha, Northern Gaza, occupied Palestinian territory. Hanson, Jarule and Chino on route to Alwaha Resort through Nuseirat Camp in the Gaza Strip. 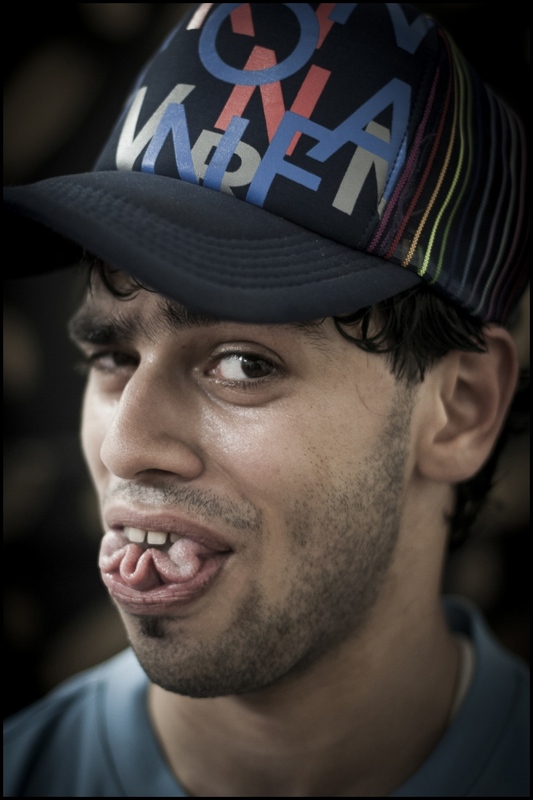 Shaark (25 year old Ahmed Al-Ghraiz) at Alwaha, Northern Gaza, occupied Palestinian territory. The Camps Breakerz Crew at Alwaha, Northern Gaza, Palestinian Territories. The structure they are standing on no longer exits. 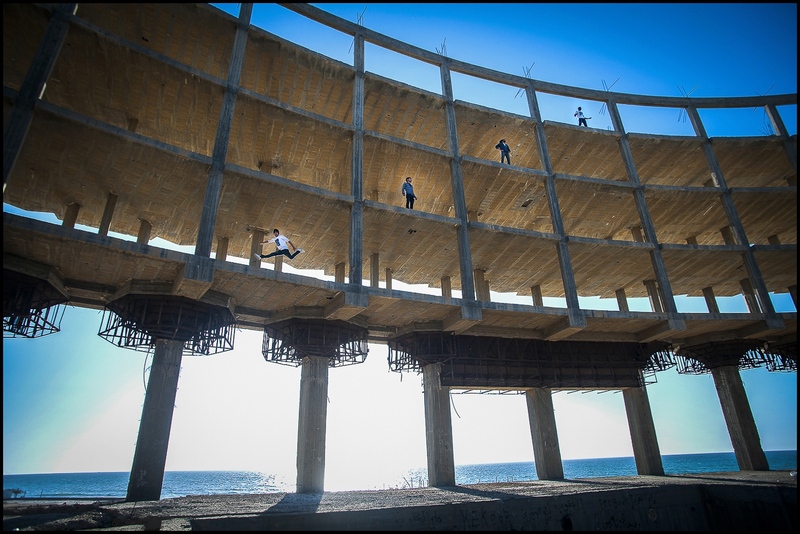 it was destroyed during Israeli bombing in "Operation Protective Edge". 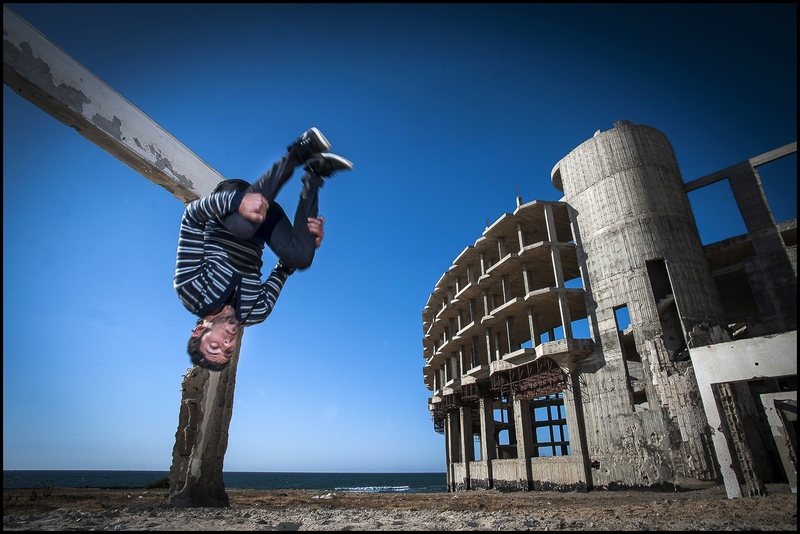 It’s not easy to go and visit ‘The Camps Breakerz’ crew of breakdancer’s in the Gaza Strip and it’s definitely impossible for them to come and visit you! Established in 2004 by Muhammad al-Ghreiz, or Funk as he is known, it has it’s main ‘crew’ centre in Nuseirat refugee camp in central Gaza. 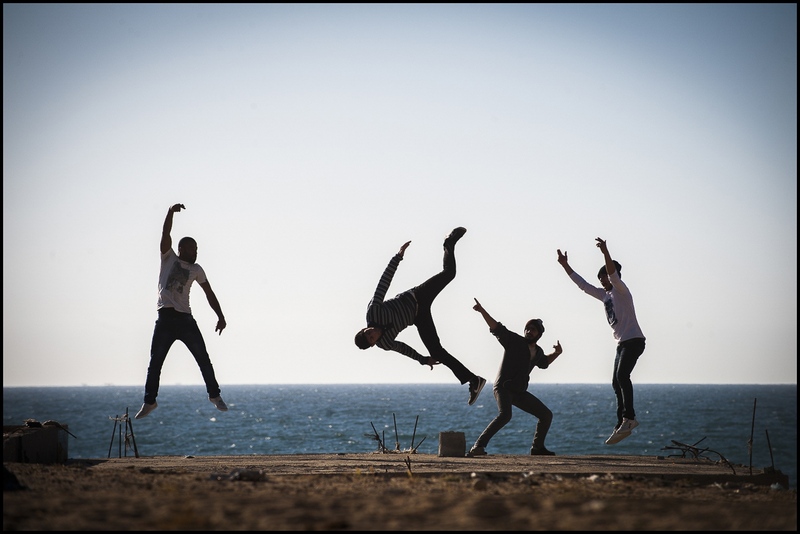 This fusion of breakdance with a Gaza political twist was evident during Israel’s ‘Operation Protective Edge’ launched against the Strip on the 8th of July 2014. 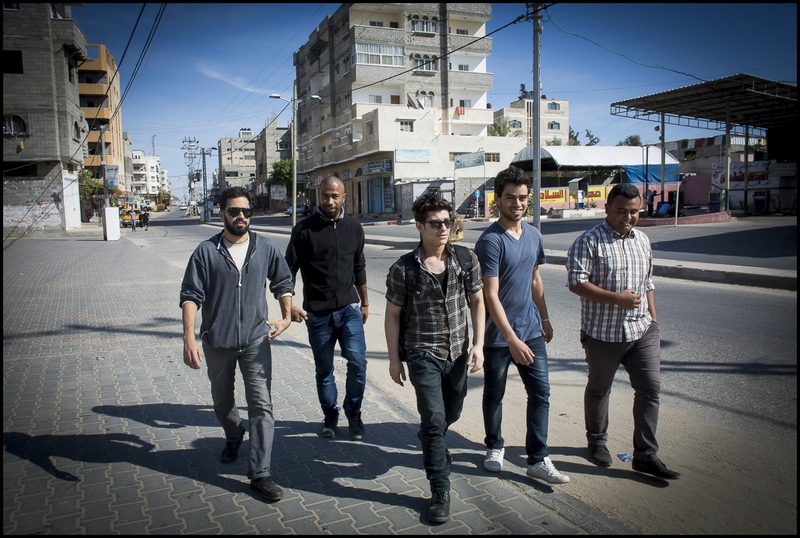 The crew put on two shows in Gaza during the conflict risking life and limb to cross the Strip and perform in Nahel Ouze and additionally at the YMCA in Gaza City. Staging a moral boosting dance routine to the accompaniment of ‘We will not go down Gaza tonight’ with their heart felt performances from the events being posted to ‘youtube’. 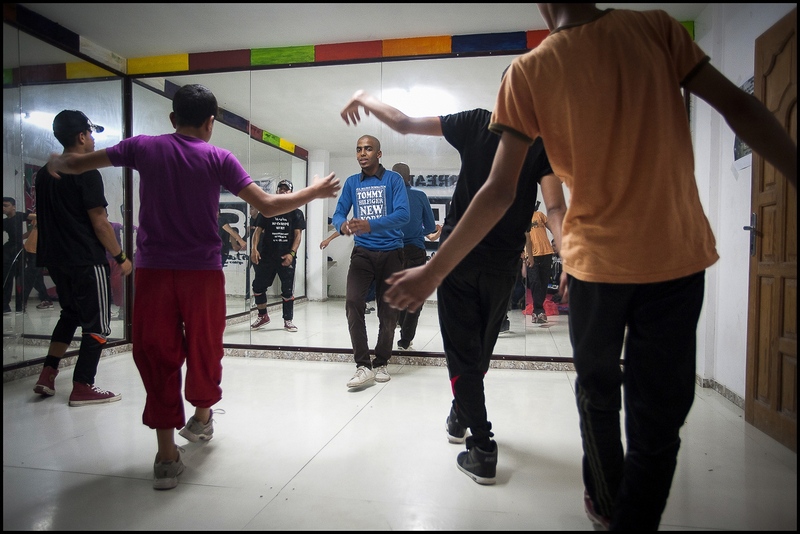 Additionally their dance center was opened up as a place of temporary refuge for many of the Gazan residents who were made homeless during the bombing. The Break Boys home of Gaza is just 25 miles long and between 3 and 7 miles wide and is inhabited by roughly 1.8 million people. 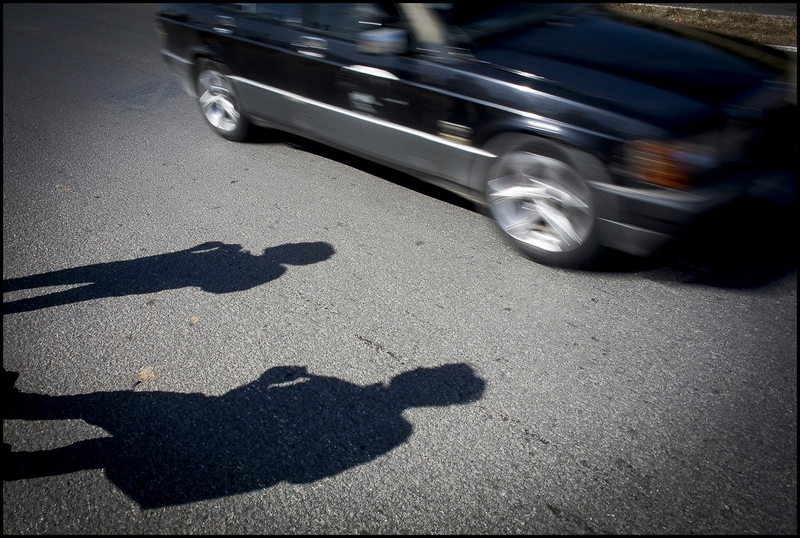 Unemployment stands at around 40% with youth unemployment peeking at around 44%. Just over 60% of the population is age 25 or under. Since 2007 Gaza has been subject to a full land, air and sea blockade sprinkled in-between with periodic relaxations of restrictions but never fully withdrawn.